Buffalo State has received the 2017 Higher Education Excellence in Diversity (HEED) Award from INSIGHT Into Diversity magazine, the oldest and largest diversity-focused publication in higher education. As a recipient of the annual award, Buffalo State will be featured along with 80 other recipients in the magazine's November 2017 issue. This marks the fifth year in a row that Buffalo State has received this national honor recognizing U.S. colleges and universities that demonstrate an outstanding commitment to diversity and inclusion. 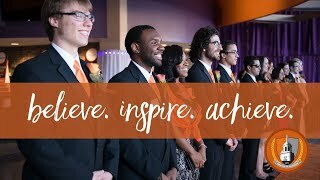 INSIGHT Into Diversity selected Buffalo State for its numerous campus initiatives that celebrate diversity in and out of the classroom. They include an ongoing Diversity Dialogue Speakers Series; the “I Love Consent” campaign; the annual Anne Frank Project social justice conference; and the Beyond Boundaries Dare to Be Diverse film series presented in conjunction with the Burchfield Penney Art Center and the college’s Communication Department. Other campus initiatives demonstrate a commitment to diversity beyond the country's borders, allowing students to study in such countries as Chile, Haiti, Rwanda, and Zambia. Likewise, the college host students from such countries as Algeria, China, Columbia, Egypt, Estonia, France, Guinea, Hungary, Japan, Malaysia, Myanmar, Nigeria, and South Korea. “The HEED Award process consists of a comprehensive and rigorous application that includes questions relating to the recruitment and retention of students and employees—and best practices for both—continued leadership support for diversity, and other aspects of campus diversity and inclusion,” said Lenore Pearlstein, publisher of INSIGHT Into Diversity magazine.